Brandon Ingram, Julius Randle Share Thoughts On Lakers’ Trade Of Jordan Clarkson And Larry Nance Jr. Weeks of speculation gave way to activity on Thursday, as the Los Angeles Lakers traded Jordan Clarkson and Larry Nance Jr. to the Cleveland Cavaliers in exchange for Channing Frye, Isaiah Thomas and a first-round pick in the 2018 NBA Draft. Clarkson had been with the Lakers since the 2014 season, tying with Julius Randle for the longest-tenured player in the organization. Nance was taken by L.A. in the the first round of the 2015 Draft. While it was natural for Randle to have developed a connection with Clarkson and Nance over their multiple years playing together, rookie Kyle Kuzma shared similar bonds with the pair. “That was really unfortunate, for me especially,” Kuzma said. For Brandon Ingram and Josh Hart, it was a reminder of a reality that comes with playing in the NBA. “It was tough and we know there’s another side to this basketball thing, it’s the business of basketball,” Ingram said. Added Hart: “It’s something that no matter how long you’re in this league, it’s always going to be a tough day because it’s so chaotic. Obviously, we love Larry and JC, and we wish them the best. 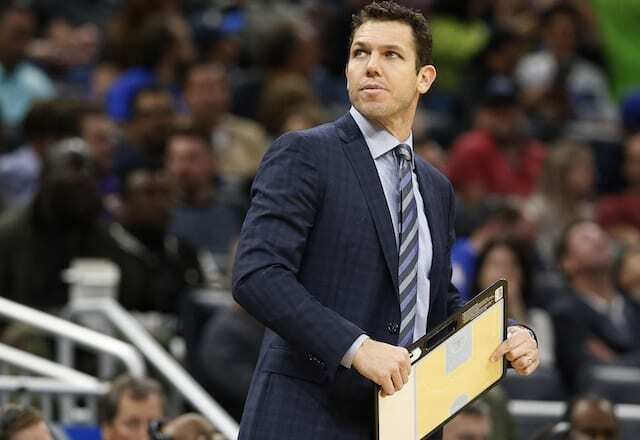 Lakers head coach Luke Walton said it was “tough” to see Clarkson and Nance traded, citing their importance to the team’s success this season and dedication in years prior. “We’re going to miss them but they’re going to a good situation,” Walton continued. 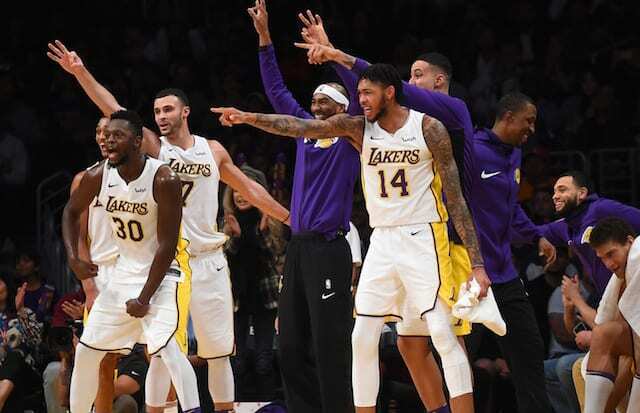 Although the Lakers were saddened to lose players they’d grown close to, Ingram, Kuzma and Randle spoke fondly about Frye and Thomas and what they’ll bring to the team.